I’m thrilled and proud to reveal Stella’s new look. Below you’ll find a selection of the bazillion photos I’ve taken since Friday morning, when we picked up Stella’s glasses. 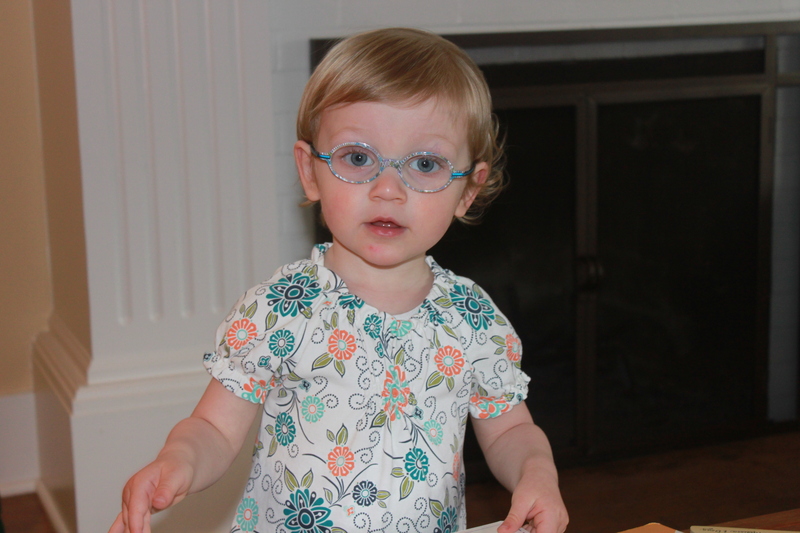 I love her beautiful frames, the TamTam by Lafont in Blue (color code 220), and Stella could not look more adorable in them. 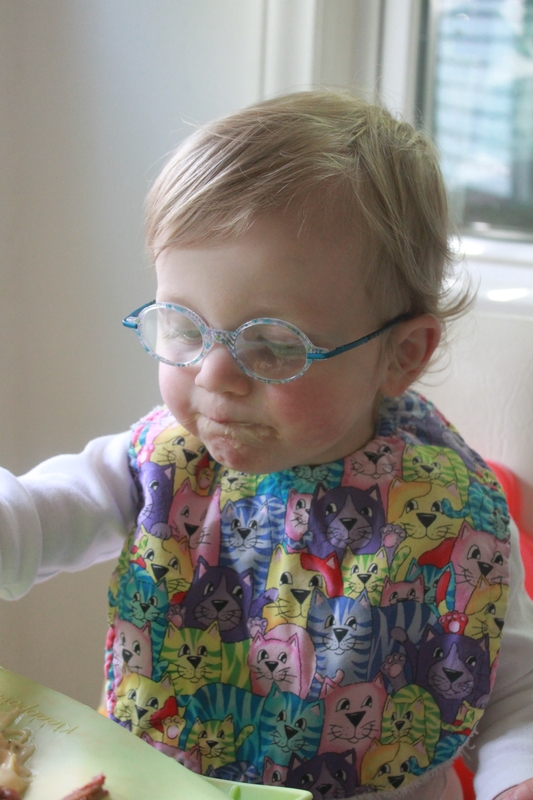 I’ve ordered a second pair with Trivex aspheric lenses to reduce the magnification of Stella’s eyes while providing her with a clearer view of the world (without sacrificing impact resistance), and to make sure she can still wear her glasses if one pair breaks or gets too bent out of shape to wear. Which already happened this morning. Ahem. Really, though, Stella’s done fabulously. Her resistance is to be expected. Her vision is pretty great without them, so there’s no huge incentive for her to wear them. 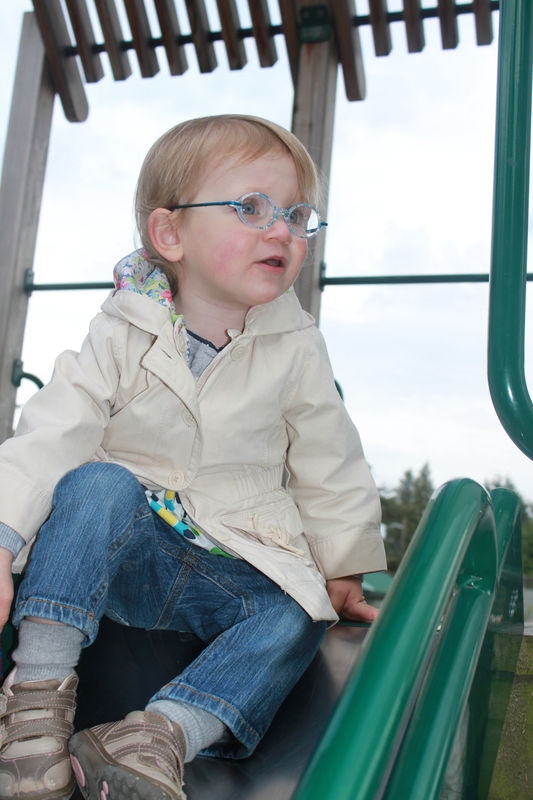 We know it will prevent her eyes from crossing and prevent vision problems associated with crossing, but she doesn’t. How could she? I’ve been worried about getting her to wear them–it’s tough. I’m stressed when she rips them off and pretty much in general as we both adjust, but there have been many wonderful moments, too. On Friday, she wore them on the playground for a good while and had no trouble with balance or depth perception. (The optician said she might struggle with stairs or running on uneven surfaces. I’ve seen a little evidence of that, but it’s not too bad at this point.) Then she took them off on the way from the playground to the car, but once planted in her car seat she asked me to put them back on! On Saturday, she wore them for a glorious hour-and-a-half stretch, which included a car ride, even though kids with new glasses usually rip them off in the car, or whenever they get bored. On Sunday, she put two small pieces in a puzzle–she’s never really done that before, always seeming to have little to no patience with those sorts of precise tasks. From what I understand of other parents’ accounts, shared on littlefoureyes.com, it’ll probably take two weeks for Stella to get used to wearing them without constantly removing them. Three days down, 11 to go! You’re doing great, Stella. I’m very, very proud to be your mom. I don’t even mind wearing these CRAZY vanity frames, though I wish my specs were as cool as yours. You really could not be more beautiful. A new view of lunch. She even got to watch TV. Your Baby Can READ! DVDs are the ultimate distraction. And the treats don't stop. 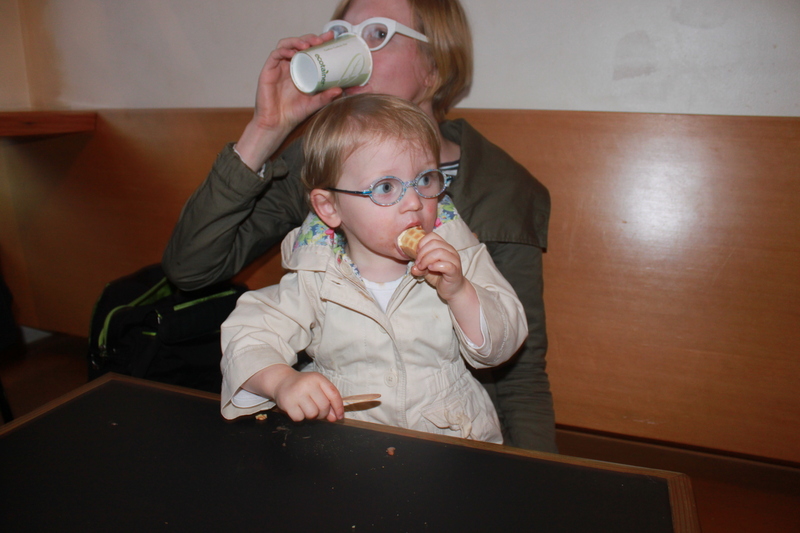 Celebratory ice cream... at Molly Moon's, of course. 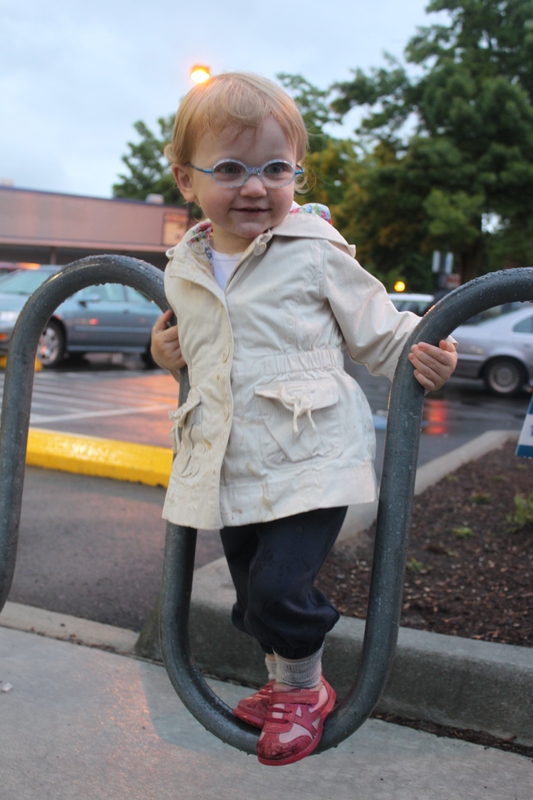 An impromptu, post-ice cream Sears-catalog-style photo shoot in front of the grocery store. 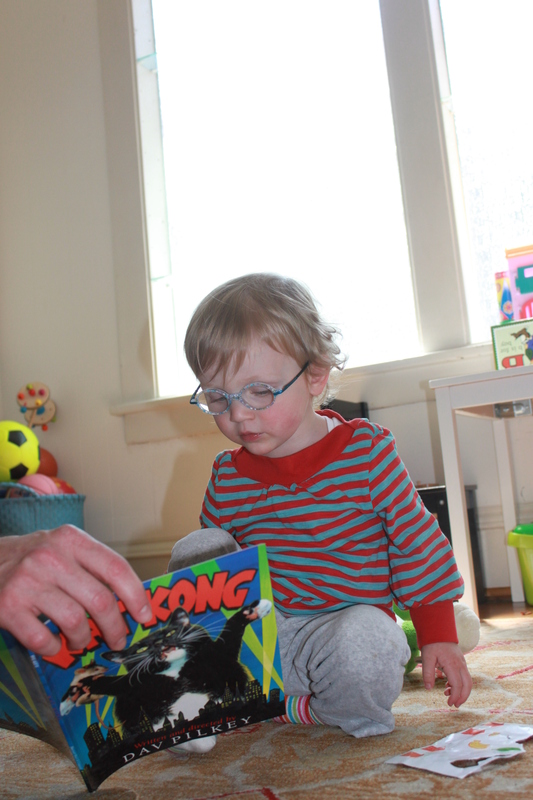 New glasses distraction purchase #547: "Kat Kong"
All she wants to do is read! Even on the bus! Sorry to interrupt your reading, Professor Sweetness. 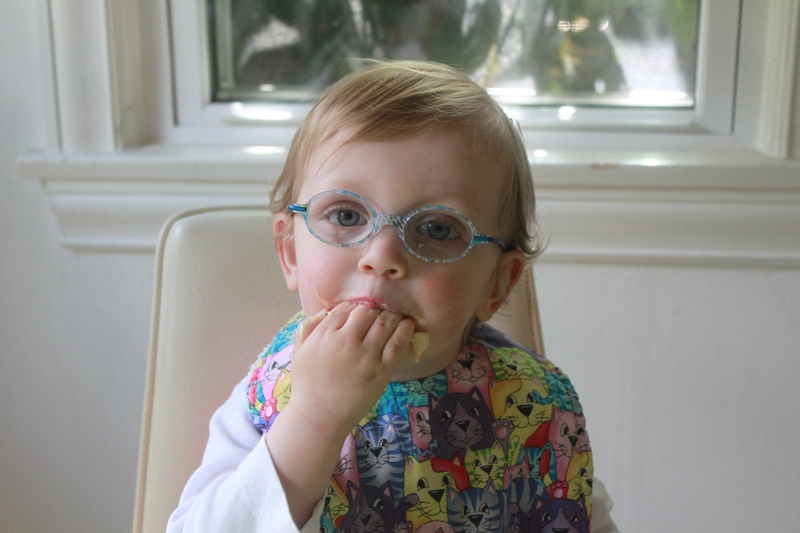 This entry was posted in Family update, Milestones, Photos, Stella's eyes, toddler and tagged first pair of glasses, glasses, lafont, littlefoureyes.com, tamtam, toddler, trivex aspheric lenses. Bookmark the permalink. 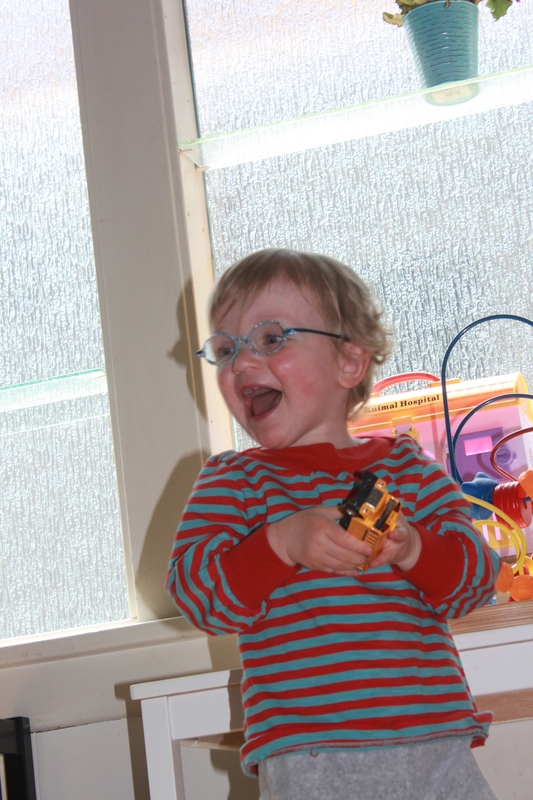 7 Responses to Baby got glasses. She is adorable in those glasses! Good thing she’s getting them now, and not in the 5th grade, where ridiculing other kids is the lifestyle…How do you like those Baby Can Read Dvd’s? Any good? As far as TV for babies/toddlers who are better off not watching TV, I think they are great. I try not to let her watch them very often. But she really, really loves them and has actually learned words from them, not just the videos but the flash cards that come with them. 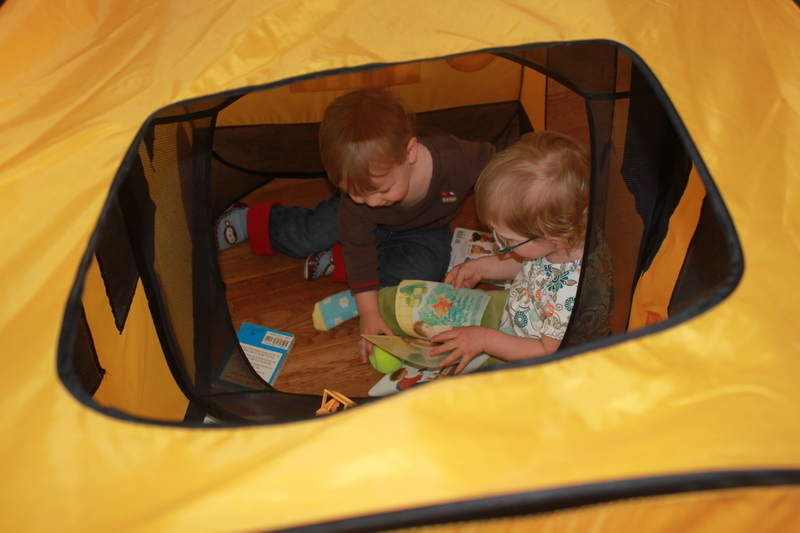 We never really intended to teach her to read as a baby, they are just an educational form of fun. She drives it–we never pushed any of it. So, that’s a wordy way of saying I recommend it, despite my major reservations about babies under two watching TV! Those glasses are adorable! She looks so cute! Thanks a lot! She is doing so well with them! She should be payed for paying those glasses. She is doing the company a favor, promoting fabulous out come and results when you are wearing glasses. I agree! Pay up, LaFont! 😉 Thanks!